The CIRRIS XI™ and CIRRIS XR™ robots give gas network operators an alternative to direct burial replacement by reducing pipeline risk and extending the usable life of large diameter (12″-48″) cast iron gas distribution mains. The CIRRIS XI™ provides a means to assess the structural integrity of the pipe through measurements of wall thickness and stress to improve the way gas distribution utilities measure risk and ensure their assets are a good candidate for rehabilitation. 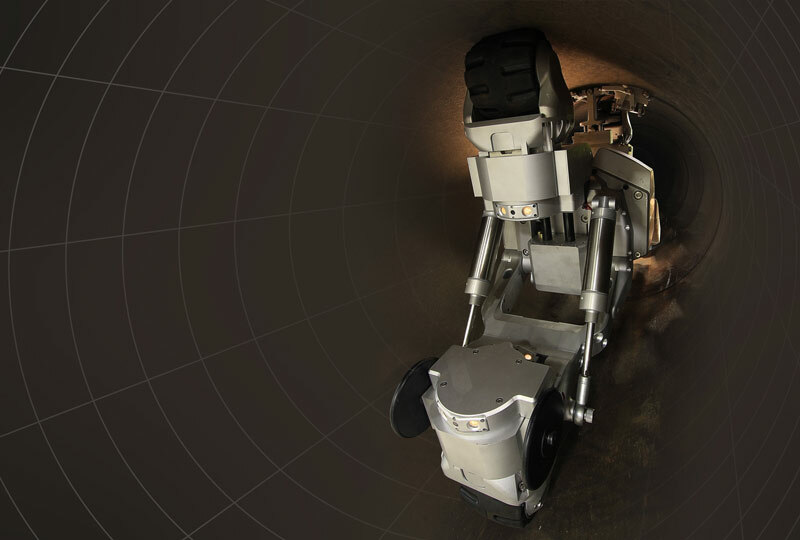 Data obtained through deployment of the CIRRIS XI™ robot can be fed directly into risk models so pipe risk can be measured using direct inspection data. Using sensors that are optimized for use in cast iron, the CIRRIS XI™ is able to measure wall thickness and determine if the pipe is under stress. The data collected with the specialized sensors on the CIRRIS XI™ allows gas utilities to make better decisions about the outcome of their pipe; reducing risk and improving public safety. This technology is able to access over 304 meters/1,000 feet of main through one small excavation to reduce the impact of utility maintenance typically seen with other methods. The number of data points obtained from inside the main can be adjusted to provide a higher or lower resolution assessment to ensure you meet inspection requirements. The entire robotic pipeline inspection process is performed in live mains using a highly advanced no-blow launching system to minimize impact on local residents and businesses using gas on a daily basis. With just a small excavation and our CIRRIS XITM and CIRRIS XRTM operations truck, local residents and businesses can go about their daily routines with less public disruption and road closures than other replacement or repair methods. 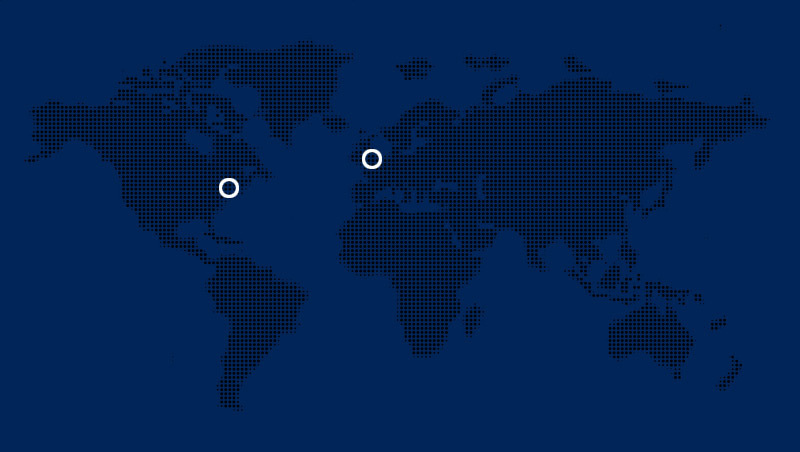 Our utility customers receive reports detailing the sensor data collected, in-pipe video and daily work reports. The main and features located inside the main are also provided. 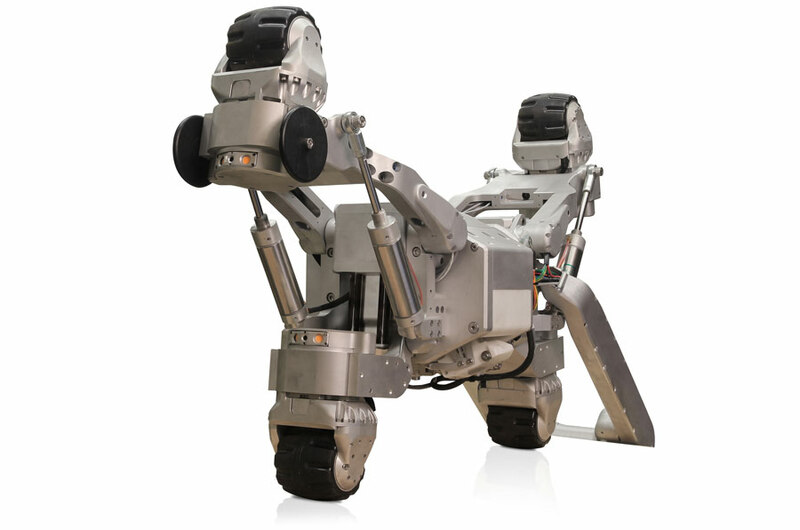 First-of-its-Kind Inspection Data: The CIRRIS XI™ is the first robot that makes wall thickness and stress data available to gas network operators. This important data allows them to make well-informed decisions and improve the safety and reliability of the gas network’s assets. Detect and Measure Wall Loss Due to Corrosion: Specialized Electro Magnetic Acoustic Transducers (EMAT) measure the cast iron pipe wall to identify wall loss caused by corrosion and other factors. Detect and Measure Stress on the Pipe Wall: The CIRRIS XI™ also has specialized Barkhausen Noise Sensors which measure stress on the pipe wall. These measurements help to identify adverse loading conditions and pressure points which may lead to pipe fracture. Have a question? Use the form below to ask a question about live cast iron gas main assessment with the CIRRIS XI™ Inspection Robot and a member of the ULC team will respond as soon as possible.